I am writing this because I have seen so many people who have never changed a tire. To bring your car to the garage for a seasonal tire change can create a big problem. The garages never grease the bolts and they totally overtighten them. 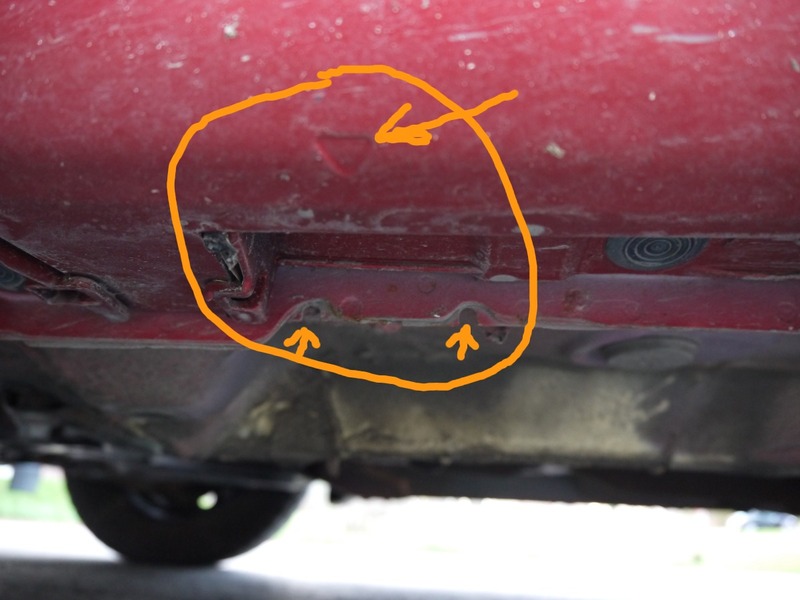 The bolts become rusty and it becomes impossible for a normal adult person to put on a spare tire manually with just the equipment in the car. A full manual change of all 4 car tire takes 20-40min. It's faster than bringing the car to the garage and you can do it whenever it is convenient for you. Note that you need to have both summer and winter tires on rims. Thus if you buy winter tires then ask the garage to put them already on the right type of rims and balance them. Tires with steel rims are only a litte bit more expensive than just the tires. The normal jack that comes with your car will do just fine. It's good to put a piece of ply wood under the jack. The board will help the jack to stand firmly on asphalt and distribute the weight evenly. trunk near the spare tire. This jack and a piece of wood in good enough for the job. The manufacturer of the car provides as well a spanner to loosen the nuts but it is really only made for emergency situations and will not work on rusted bolts. 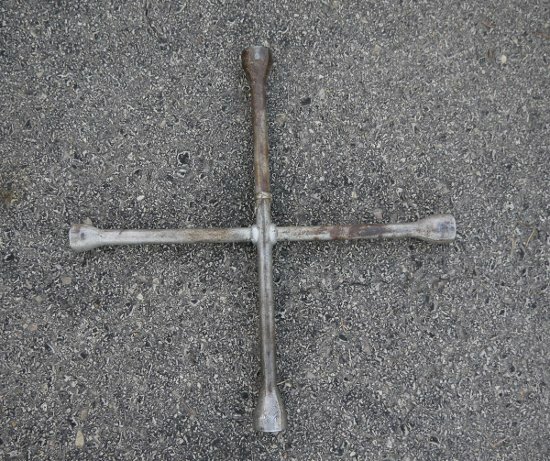 I recommend to get a cross wheel spanner. 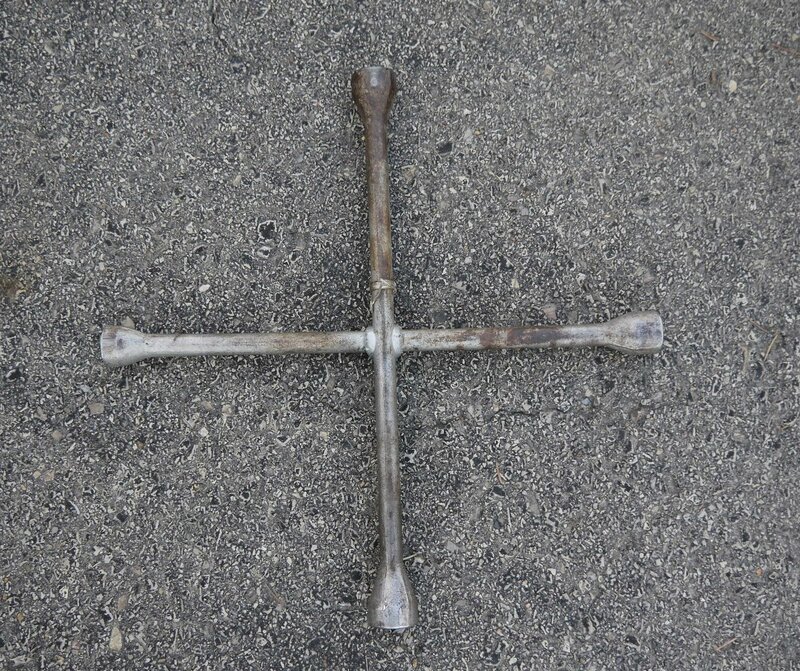 A cross wheel spanner specifically designed to manually loosen tight or rusted car wheel nuts. I recommend to put an old carpet or some cardboard on the ground. 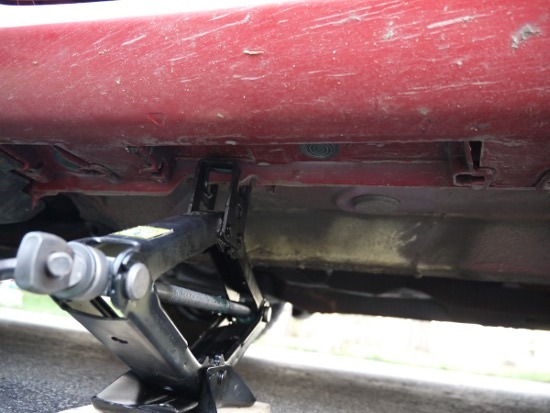 It makes it more compfortable to work on the ground around the car tire. 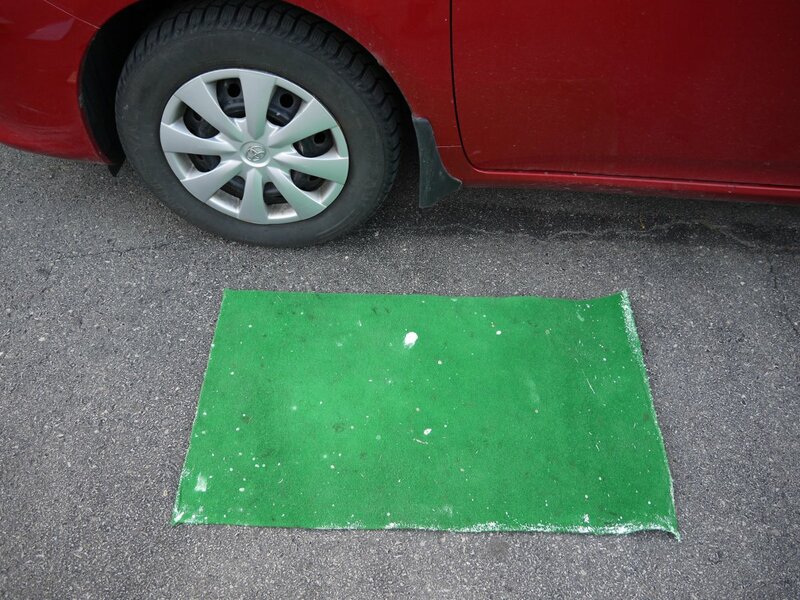 An old carpet makes it more compfortable to work on the ground around the car tire. Maybe the most important thing you need it lithium grease. Greasing the bolts will prevent rust and makes it much easier to loosen the nuts in future. The small spanner that comes with the car works only on nuts that are easy to loosen. Thus if you ever need to do an emergency replacement of a flat tire on the road then it will only work if you did grease the bolts on a previous tire change. Garages never grease the bolts and they totally overtighten them with their power tools. 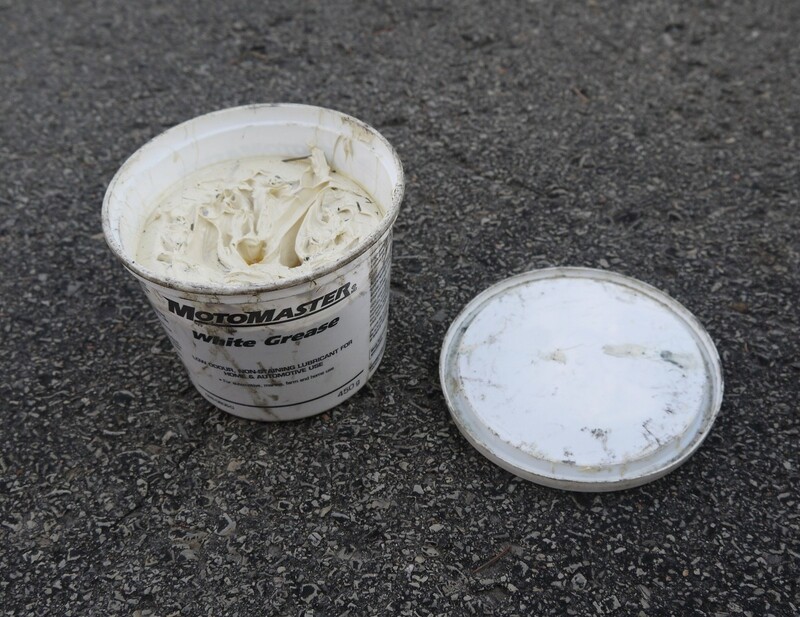 White lithium grease is a temperature stabalized grease. This grease will not run off when the bolts get hot from the heat generated by the breaks. Where to put the jack? The position for the jack should be clearly marked. It's usually about 1/2 a foot (15cm) besides the tire. The position where the jack should be put is clearly marked on every car. Position the jack but do not yet fully lift the wheel. You should loosen the nuts half a turn while the wheel is still on the ground. This will allow you to apply more force since the car is more stable. Position the jack between the two half round holes. The car must be parked on even ground and not on a slope. Apply hand breaks, make sure the engine is off and put the car into first grear (for manual shift) or into parking position (automatic transmission). Loosen the nuts about 1/2 a turn while the wheel is still on the ground. If the nuts are rusted then you can even kick the spanner with your foot (while pushing it towards the nut with your hand). However a good cross wheel spanner allows you to apply a lot of force with just your two hands and the nuts should loosen just fine when you turn the spanner counter clock wise with both hands. Loosening the nuts while the wheel is still on the ground. This might require some force. Jack-up the car until the wheel is completely off the ground. Half an inch of space between the ground and the tire is enough. 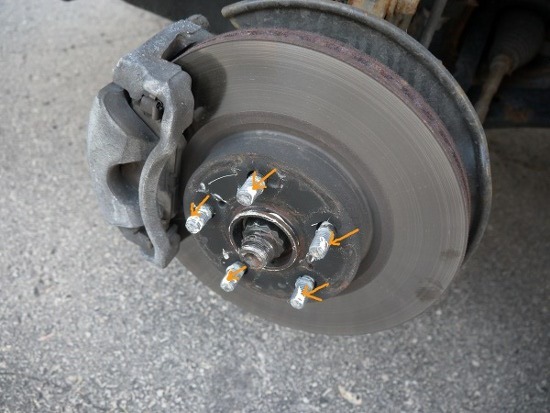 Remove all the nuts and remove the tire (with the rim). Don't put the nuts onto a dirty or sandy surface. Sand grains might get into the thread. Put them into a piece of paper or into some kind of box or plastic container. Remove the nuts by turning the spanner counter clock wise. The wheel has to be jacked-up completely. Always put some grease on the bolts. 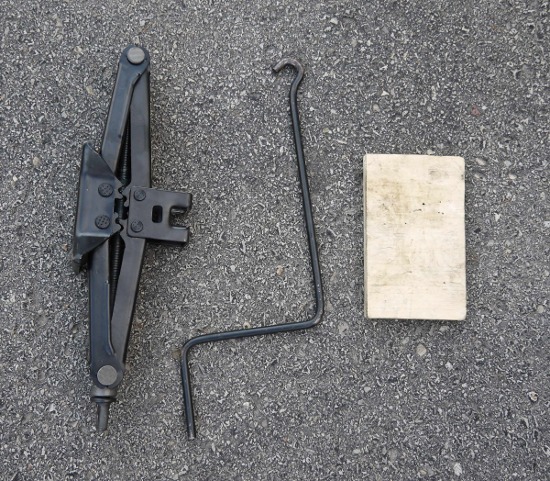 This will protect the bolts from rust and make it easier to do an emergency tire change using the small spanner included with the spare tire. Note that most "professionals" will not bother greasing the bolts since they have power tools and it takes extra time to add grease. To not use grease will however wear out the nuts and bolts over time. Use a grease that does not easily melt in the heat generated by the breaks. White lithium grease is a good choice. Apply a small amount of grease on the bolts. 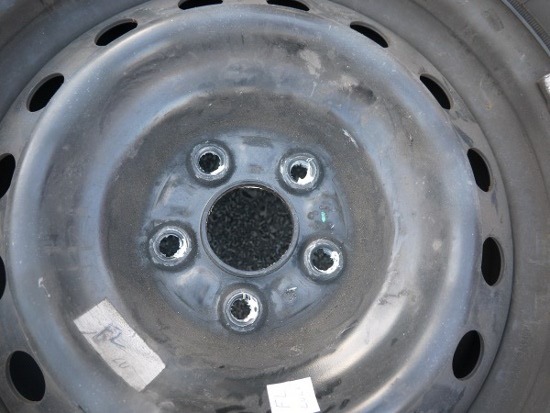 The nuts have a cone shape to center the wheel properly and the holes in the rim have a corresponding shape. Put a bit of grease onto the sides of the holes. Just lift the new wheel onto the bolts and manually tighten (without spanner) the bottom most nut. This will hold the wheel in place. Screw on all the nuts but don't fully tighten them yet. This is to ensure that the wheel is completely centered. The cone shapes on the nuts will push the rim into place. 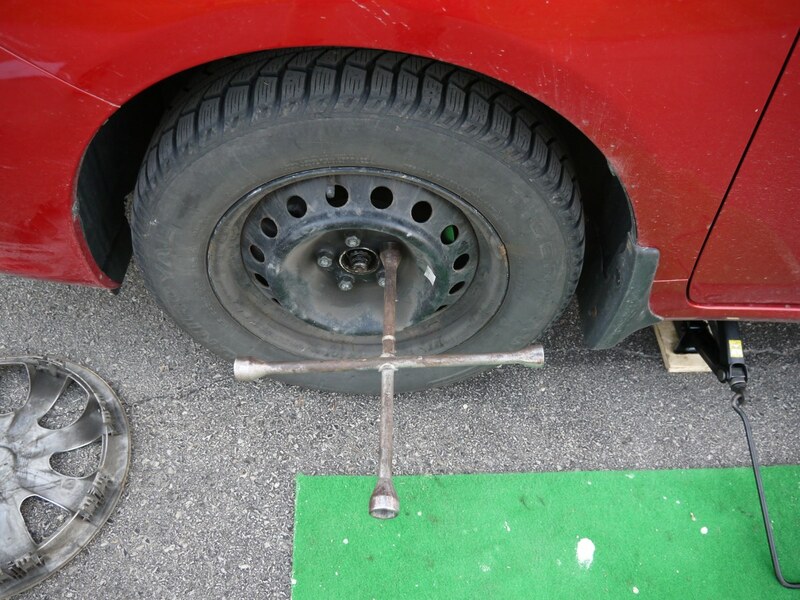 Now go around from nut to nut with the wheel cross spanner and tighten the nuts one by one. Lower the jack, check the tire pressure. Your done.